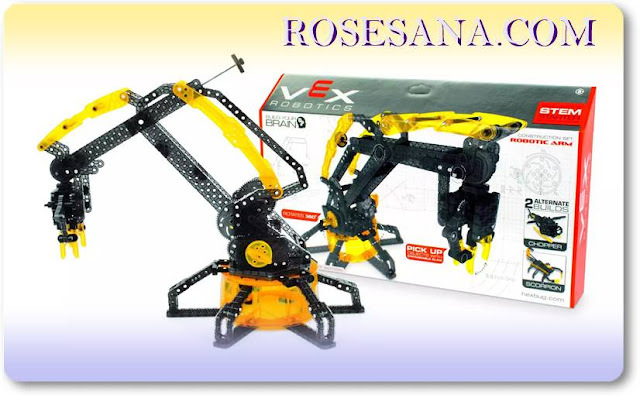 The VEX Robotic Arm is a robotic arm that is designed to induce STEM learning and includes over 350 pieces. 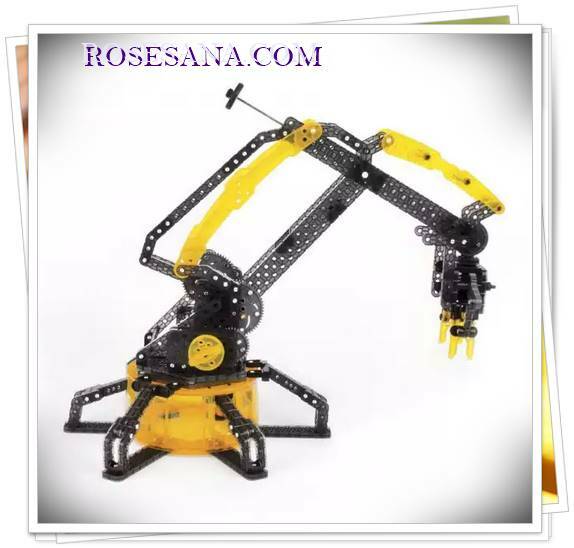 Carrying the same design as the large scale robots found on assembly lines, this robotic arm helps you learn the mechanics behind these robots while building and operating it. 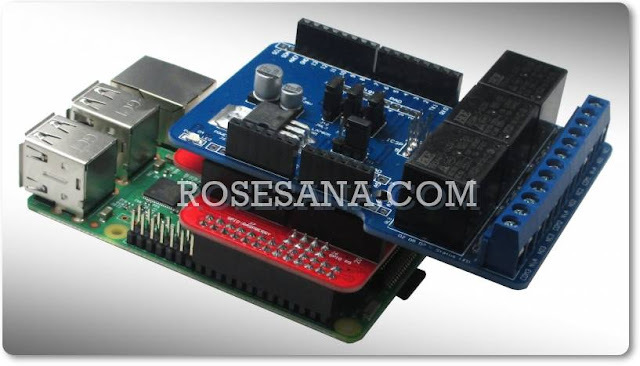 It features four points of motion that allow you to pick everyday objects with its claw. The left knob raises the arm to up to 14 inches, while the right knob stretches the arm to up to 10 inches. The rear dial helps in picking up small objects, and the whole crane can rotate 360 degrees, letting you perform complicated tasks with ease.